Having played continuously for almost a decade, Sgt. 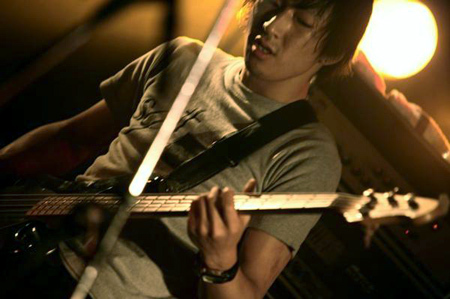 are a veteran post-rock band from Japan. Sgt. offer what only an experienced band can deliver, a tight sound. Their music is a version of post-rock that is soaked with classical, noise, and jazz motifs. This can be attributed to the presence of a female violinist who clutches onto the band's sound and takes it in new directions. Sgt. is very active on the live circuit and run their own semi-regular event called "seimei" which brings together the best in the Japanese indies scene. Bands like 54-71, good music, OVUM, The World Heritage, and others have graced the event with their presence. In 2005, they released their first mini-album,"perception of casualty" with the help of the engineering skills of one of Toe's members. Sgt. then released a split with good music the following year. In 2008, the album Stylus Fantasticus was released internationally by HearJapan. One of the often overlooked aspects of the band is their omnipresence in the Japanese music scene. They have collaborated with many bands such as ROVO, Boredoms, ONJI, etc. They are also the backing band for famed ex-Supercar member Koji Nakamura’s new solo project, iLL. They are also official members of the electro dub band MAS. While they have vast playing time with some of Japan's greatest underground musicians, Sgt. has built up a repertoire of playing with western bands when they come to Japan. They have opened for the German progressive band, CAN, Damo Suzuki, and the Art of Fighting from Australia. The vast distances they cover in the music scene surely has added deep nuances to their musical productions and Sgt. is definitely a band to keep an eye on.